With UFC 233 cancelled postponed, the next UFC pay-per-view is UFC 234 on Saturday February 9th in Melbourne, Australia. Headlining that fight is a solid match-up between Aussie champ Robert Whittaker and challenger Kelvin Gastelum. Also on a lot of fans’ radars: a legend vs. prospect fight between Anderson Silva and Israel Adesanya. Adesanya is the new hotness, while many think Anderson may be old and busted. That certainly seems to be the opinion of Israel’s striking coach Eugene Bareman. Who knows, maybe this is some 4D chess attempting to convince Anderson Silva he needs to stay standing with Adesanya to prove a point. We’re not 100% sure we’re willing to agree that Israel is better than Anderson on the feet, even with the advantage of youth. But we’re sure “The Spider” has a way better ground game, one Adesanya doesn’t particularly want to test. 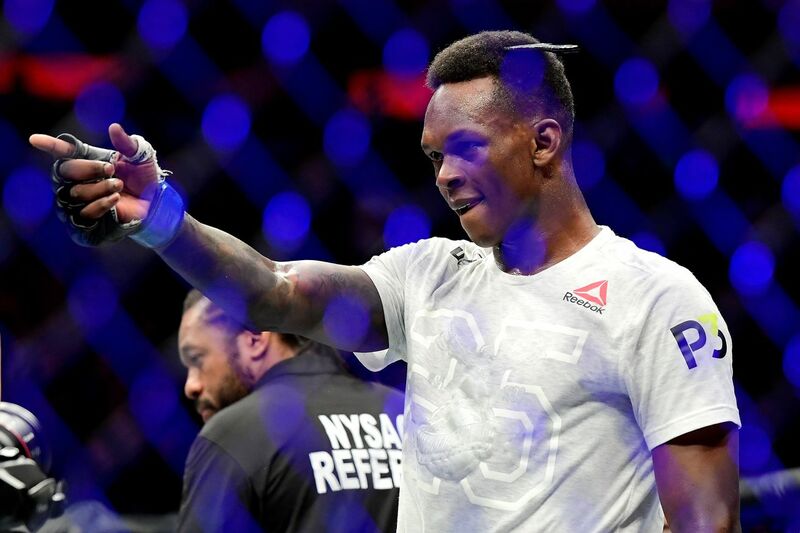 That reluctance to get into it on the ground has led “The Stylebender” to work real hard on his takedown defense, and there’s a good chance Silva couldn’t take this thing down even if he tried. It’s clear what the UFC and Adesanya want: a stand up war that gives them a clear new #1 contender. Now we just have to see whether Silva has enough left in the tank to spoils things by winning.